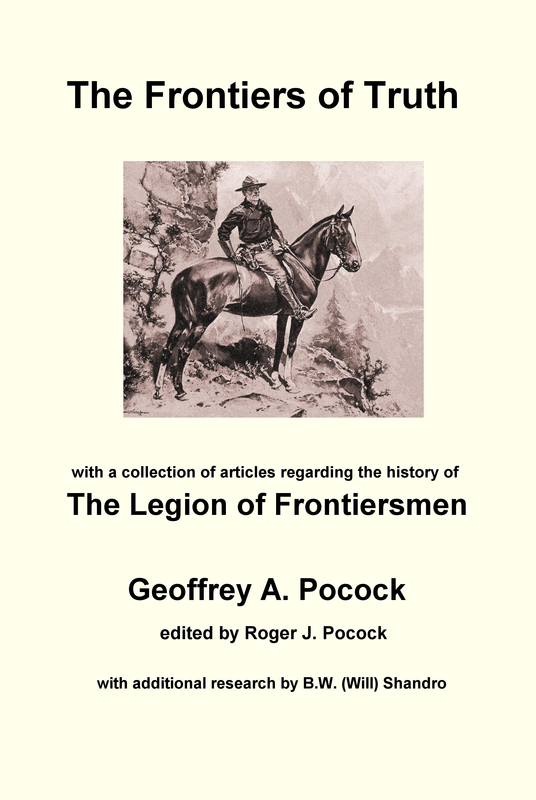 It may come as surprise to many to hear that the Legion of Frontiersmen had a strong musical tradition with a succession of acclaimed Legion bands over the years. However, we may never again see what is shown in the main picture, the Legion band marching around Trafalgar Square in London in November 1935 followed by a succession of Squadrons of Frontiersmen stretching into the distance up The Strand. The Northern Command Band gave many public concerts playing a diverse and attractive selection of music, as did the Headquarters Band that often played in Kensington Gardens and had many engagements, which included seaside towns. From the very early days, no Legion unit of any reasonable size was without its band. Right up until the start of World War 2, many men learned to play a musical instrument. This was a time before television entertainment and until the late 1930s not everyone had access to a radio, although it may additionally surprise readers to learn that various Legion bands featured in broadcast concerts on the radio, usually on the regional programmes. In the 1930s during the heyday of the British Dance Band and even during WW2 the Frontiersmen Dance Orchestra based in Portsmouth performed regularly at dances in the south of Hampshire. February 1st 1911 saw what the Frontiersmen magazine called a “red-letter day” for the Legion. This was the day of the launch into Bow Creek on the Thames in front of 2000 guests of one of the Dreadnought battleships, HMS Thunderer, “Thunderer” was the largest warship ever built on the Thames. The Guard of Honour was not provided for this occasion by an army or navy unit, but by 150 Frontiersmen. The launching ceremony was performed by the wife of the Archbishop of Canterbury to the music of the Legion of Frontiersmen London band, who also accompanied a local choir singing hymns. Unfortunately we only have a very grainy photograph of the occasion, which is not suitable for use here. In 1910 the Legion had provided the band for the Whitsun Carnival at the cathedral city of Salisbury in Wiltshire. The best known touring band was Lieut. Insen’s Frontiersmen band. Lieut. Insen had been the Bandmaster of the 5th Bn. Durham Light Infantry and supposedly when 22 was the youngest Bandmaster in the British Army. Around 1912 the Legion Band shown in the Insen photograph travelled much of the British Isles giving concerts, which were usually sold out. There were a number of Legion bands around Britain, most notably in London, but Insen’s band was the band of the Yorkshire (Cleveland) Command. His theme was “Music in the Forest”, which can be seen from the stage setting shown in the group photograph. What seems likely is that these were army band musicians who had served their time and this was a way to make a living after leaving the services. Civilian bands would not have been as attractive to the paying public as a Frontiersman band with their distinctive uniform. They mixed popular music with humour and also had some good soloists and singers. One can be a little puzzled at the attraction of Frontiersmen Dunn and Dixey who, when in Dundee in January 1912, in addition to some “fine music” gave a demonstration of paper tearing, showing how a sheet of paper can be transformed into a “tablecloth of artistic design”. An exhibition of lasso rope throwing was an additional and typically Frontiersmen attraction. This was demonstrated by Frontiersmen Shields and Rogers. One of the great military music composers and adjudicator at contests, James Ord Hume, served as a Lieutenant in the Frontiersmen. He died in 1933. His military rank was Lieut.Colonel, but, as were many other officers, he was happy to serve in the Legion with a lower Legion rank. His Legion of Frontiersmen band before WW1 was based in Edinburgh and gave concerts mainly in Scotland. Over the years there have been probably nine marches written especially for the Legion. We have traced five of them, but there are still the others to be re-discovered. The first Legion march, known as the Legion Hymn, was composed by Stanley Hawley. Although he was the conductor of just a theatre orchestra, he attracted top musicians, and composer Eric Coates and Thomas (later Sir Thomas) Beecham played in his orchestra.2 Unfortunately the words to this, written by the Legion Founder Roger Pocock, are too Edwardian and tend towards the jingoistic so cannot be sung today. The most recent of the compositions, “Far Frontiers” specially written for the Legion by Sir Patrick Moore, is very tuneful and worthy of being played much more often. In Canada there were several mentions of early bands, for example in 1912 at Saskatoon, Saskatchewan where the sub-unit held its annual meeting in December 1912 at its HQ, Boulton’s Garage, 2nd Avenue North. “Captain Boulton in his opening speech spoke of the splendid advance the Saskatoon Sub-unit had made in the past twelve months, and also how the Unit increased, considering that in January of 1912, there were only six in the Troop. There were now one Captain, one Lieutenant, one Sergeant-Major, one Sergeant, one Corporal, and 54 Troopers, beside the band. There are also two honorary members who have made up their minds to join the Legion” … Reviewing the recent past parade for, and inspection by, the visiting Duke of Connaught; Captain Boulton and all Frontiersmen had been complimented. The Duke of Connaught said: “Captain Boulton, you have one of the finest bodies of men I have met in my travels through Canada”. Certainly this shows that there were Legion bands in Canada and the tradition continued right through until at least the 1960s, but we have so far not been able to confirm any in Australia and New Zealand. One Legion march was discovered in New Zealand, although it was written in China. AGM minutes from the early 1960s show that there was still a post-war Legion Headquarters band in London. The uniforms were to be centrally held and issued when required, although that would have required all bandsmen to be of a size to fit the available uniforms. The latest band of which we have a photograph is the “Maple Leaf Band” of Canadian Division U.K. in 1952 based in Croydon, England. What has happened to all those band instruments from over the years? Just one solitary clearly-marked instrument (shown here) remains with the Legion assets. Will there ever be another Legion band? We can only hope so. 3 East African Standard, June 28 1915. The article above was originally published on http://www.frontiersmenhistorian.info in August 2011 and has since been revised and updated. This entry was posted in Archive Topics, Canada, Frontiersmen, History, Legion of Frontiersmen, Uncategorized and tagged Military Bands, Music. Bookmark the permalink.